Project: Storage furniture developed for HOLDBAR´s design exhibition Don´t Run Out at Galerie Joseph during Paris Design Week. 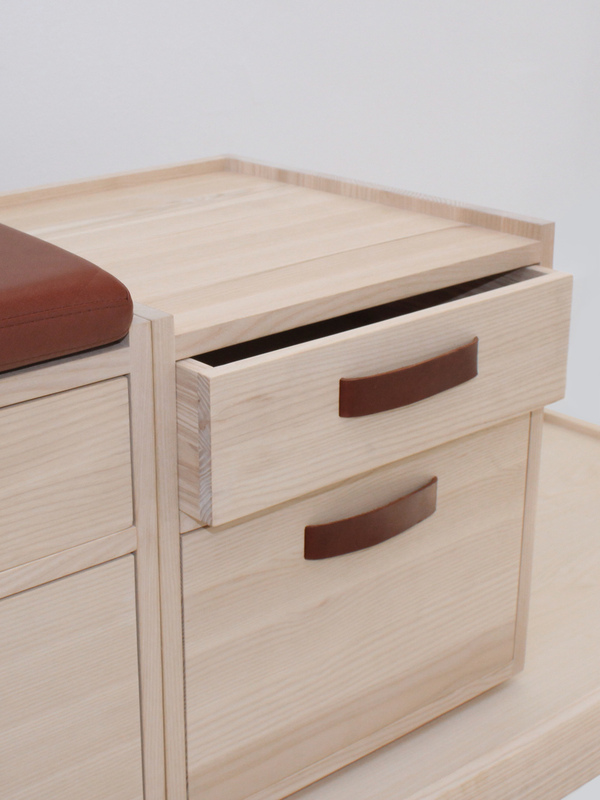 ALFRED is a storage system consisting of several pieces. The individual units can be arranged freely according to a spatial context and after specific needs. As part of the Danish design group HOLDBAR, Annika Göransson has designed Alfred for the group exhibition Don´t Run Out at Galerie Joseph during Paris Design Week 2015. The main material is solid ash wood from the Danish forest. The surface is treated with a natural wax, which gives a durable protection. The cushion and the handles are made of vegetable tanned leather and the cushion fill is natural latex. 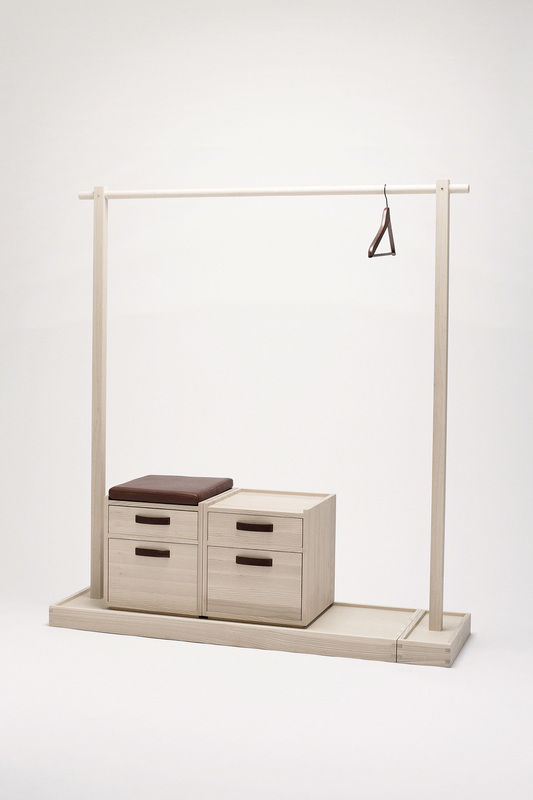 Wood and leather are materials with a pleasant feel and high durability. As time passes the chosen materials will age beautifully and the leather details will naturally be shaped after the user and get a fine patina. The furniture is flexible in the sense that it can adapt to different settings and provide various expressions. In HOLDBAR we are working with sustainablitiy from different perspectives. 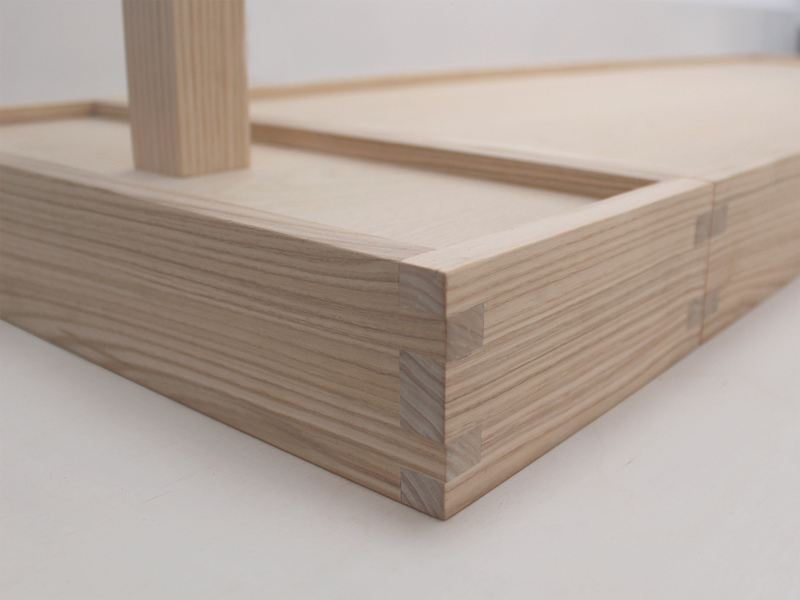 I have chosen to use natural, renewable materials and to challenge the furnitures flexibility. Made of high quality materials and with a functionality that will make it last for a long time, Alfred is a piece of furniture worth bringing along from one home to the next.